SIBO can be diagnosed through an easy and non invasive breath test. After following a preparatory diet for 24 hours, you drink a lactulose solution and then blow into a tube every 20 minutes. This captures any methane, hydrogen and/or hydrogen sulphide gas coming from your small intestine, which will determine if you have SIBO. Hydrogen breath testing is recognised by the American College of Gastroenterology as a non-invasive method of diagnosing SIBO. Dr. Nirala Jacobi ND is recognised as Australia’s leading natural health expert on Small Intestinal Bacterial Overgrowth (SIBO). Dr Jacobi has worked in the natural health industry in the United States and Australia for 20 years, and has been in clinical practice for over 15 years. Dr. Jacobi is the Director of SIBO Test, Australia’s leading SIBO testing facility. If you suspect you are suffering from SIBO, you can take SIBO Test’s easy quiz here. In my years of treating SIBO, the most difficult commitment for my patients has been the SIBO diet. It is an intentionally restrictive diet to reduce the fermentation of food by bacteria in the small intestines. In addition to treatment, I designed this two phased diet for people to follow for 3 months, but because it makes them feel so much better, people typically stay on it longer. Once treatment is completed, however, transitioning to a whole foods, varied diet is the goal. There are many resources for SIBO diets on the internet, but in my experience most are far too lenient (or confusing) that can lead to SIBO relapses. I am so glad that Rebecca has written this book, and especially glad since she herself has overcome SIBO with the right treatment and diet protocol (as I recommend on www.sibotest.com). What better person to write this book than someone who has experienced it herself. 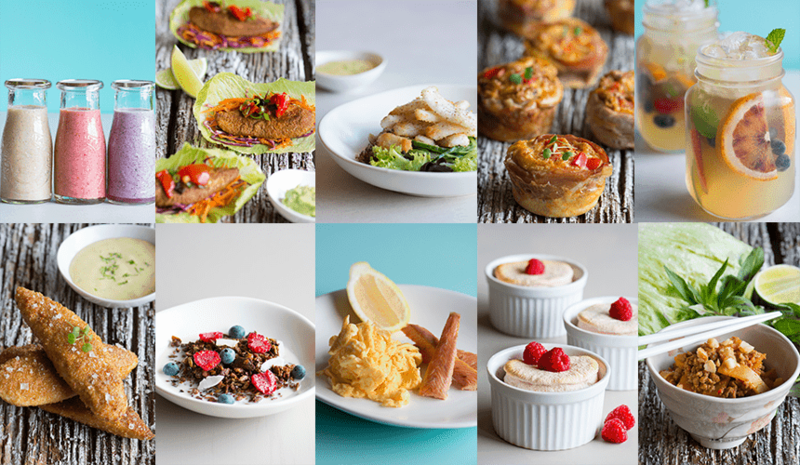 The phased diet tables are easy to understand and the recipes are delicious. I am thankful that SIBO sufferers will now have this valuable tool to help them navigate through the treatment towards the path of health. 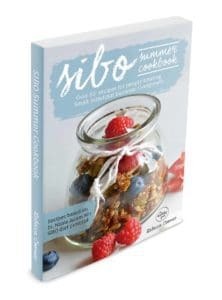 The SIBO Summer Cookbook contains over 50 recipes, perfect for the warm summer months, for people treating Small Intestinal Bacterial Overgrowth. Based on the SIBO Diet protocol by Dr. Nirala Jacobi ND, this cookbook is the first of its kind for people with SIBO.